Do you have a Facebook page for you business but aren’t quit sure what to do with it? Do you feel you should be on Twitter or Instagram but don’t even know where to get started? Wondering what you should be doing with your LinkedIn account? Are you overwhelmed by the whole idea of social media? If so, it’s time we have a talk! Your customers and potential customers are on social media, you need to be there too! Sally offers customized one-on-one and small group trainings and consultations teaching businesses and entrepreneurs how to be more successful with their social media efforts. Scroll down to learn more about Sally. 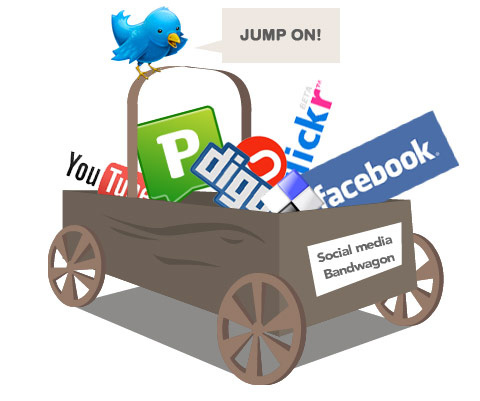 In today’s modern world social media is probably the most important marketing tool out there. Social networking builds relationships → building relationships builds familiarity and trust → familiarity and trust builds a successful business. Social media is the marketing of today and the future. Traditional marketing techniques are being replaced by social networking on the Internet. Social media can create a powerful positive buzz online about your brand due to its capacity to reach out to thousands of people instantaneously. First class customer service requires paying individual attention to your customers and social media makes possible personal relationships with thousands of people through the internet. Social media is critical these days when everybody is using the internet to socialize, communicate, date, meet others, work, and research and make decisions about their next purchase. Today’s market bases their buying decisions on knowledge and trust; they talk with others and listen to what others are saying, “78% of consumers trust peer recommendations”. Social networking can make or break a company today. “Social Media is not a fad; it is a fundamental switch in the way we communicate” –Socialnomics. There are currently more than 1.6 billion active users on Facebook. It is essential for corporations and businesses to be on social networking sites for many reasons, to name a few: damage control, customer service and relationships, BUZZ, etc. Twitter can be used for damage control (when someone bad mouths your State Farm agency, someone from your office steps in and rectifies problem immediately showing the world that this State Farm agent cares about its customers.) Also, being active on the various sites (Twitter, Facebook, Flickr, YouTube) will improve your Website’s SEO and bring more traffic (more potential customers) to you. I believe social currency is very important. The more people that are familiar with your business and love and trust it the more satisfied customers you will have that will be your ambassadors. Today’s consumer is turning to the internet to compare costs, read reviews and obtain information before making decisions. That’s why job 1 for any business should be to increase their web presence as much as possible. Social media is extremely effective and is much more affordable than traditional marketing. Watch Sally on Social JumpStart TV!